New exhibition by Berlin-based photographer Tuomas Uusheimo http://www.uusheimo.com opened in Helsinki this week. 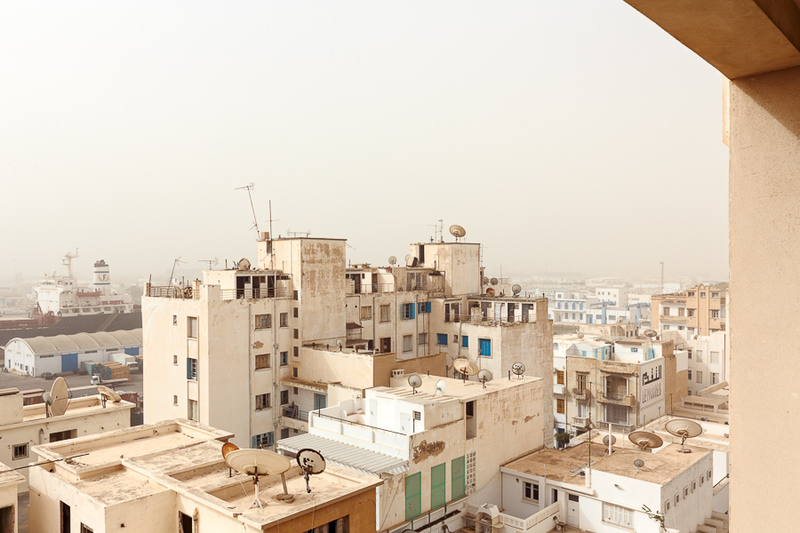 Uusheimo travels extensively on commercial assignments all over the world and has also spent longer periods in one place on artists’ residencies, in Tunisia recently. He trained as an architect first, which shows in the way he observes the built environment. The photographs showcased at the Lasipalatsi Film and Media Centre form a story of observations from different locations across the globe. There is a meticulousness in the way Uusheimo captures light and architectural forms in his compositions. A great example of this is the image we used for the cover of Grand Tour Helsinki guide: a view with four landmark buildings. Uusheimo is experienced working with the cool Nordic light, but says it can be tricky: “Maybe just the lack of it really. And that is a good thing too” he said, “I shoot a lot in the mornings and at nightfall when the light is scarce, it often creates more interesting atmosphere than direct sunlight and blue skies”. The exhibition space is housed in the 1930s Lasipalatsi building, a key example of Nordic modernist architecture, which has been recently restored. The young Viljo Revell was one of the architects behind its iconic form.